As a Realtor licensed in Illinois, J.C. Torres provides Strategic Marketing and Transaction Management services to his clients across many Illinois markets. His business is built on: Dedication, Communication, Determination, & Trust while embodying the ability to cater and adapt to all of his client’s Real Estate needs. Just as the Real Estate industry evolves to become more innovative and efficient, so do I. An Illinois native to Chicago to be more specific gives his knowledge of the city’s neighborhood geography and can assist you with all of your Residential Real Estate endeavors! 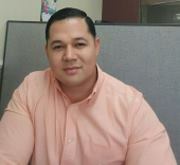 In addition, he provides exceptional Real Estate services to ensure you feel confident with your decision to hire him. J.C. Torres also has great understanding of mortgage process and appraisal evaluation as he has taken multiple classes and also passed state exams for both. Majority of J.C.’s client base comes from satisfied past client that continue spread the word of his professionalism and expertise.